Big data tools and analytics are increasingly contributing to the increasing popularity of MOOC. Download "Big data tools and analytics are increasingly contributing to the increasing popularity of MOOC." 1 Brochure More information from Massive Open Online Course Market by Platform, Course (Humanities, Computer Science & Programming, Business Management, Education & Training), Service (Consulting, Implementation, Training & Support) & by Region - Global Forecast to 2020 Description: Massive Open Online Course Market by Platform (CMOOC, XMOOC), Course (Humanities, Computer Science & Programming, Business Management, Education & Training), Service (Consulting, Implementation, Training & Support) & by Region - Global Forecast to The growing demand of reliable online learning technologies is the driving force of Massive Open Online Course (MOOC) market. The market is estimated to grow from USD 1.83 billion in 2015 to USD 8.50 billion by 2020, at an estimated compound annual growth rate (CAGR) of 36.0%. 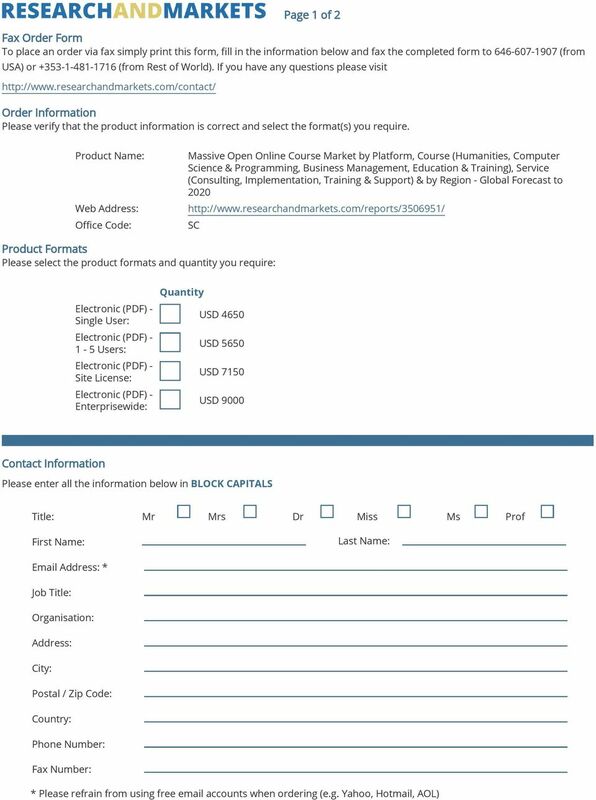 Adoption of device-based computing, increased connectivity of platform, and emergence of online and collaborative learning and personalization of technology are some of the prominent factors driving the adoption of MOOC platform and services. Asia-Pacific (APAC) expected to be grow at the highest CAGR for MOOC platform. XMOOC is estimated to contribute the largest market share for the platform market during the forecast period. Furthermore, due to rise in the education cost, the MOOC platforms are expected to gain traction and would grow at the highest CAGR in the next five years. CMOOC is projected to grow at highest CAGR from 2015 to 2020.Training and support in the service segment is expected to grow at a highest CAGR during the forecast period. 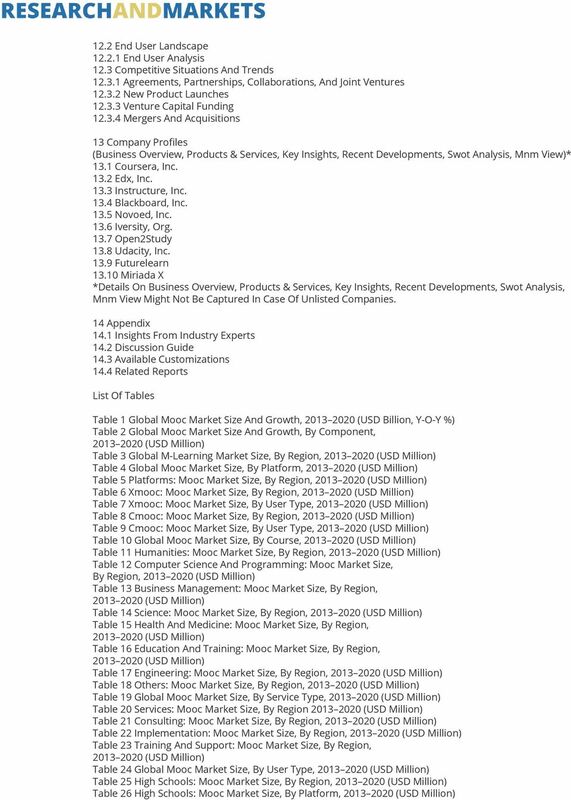 To determine the market size of various segments and sub-segments of MOOC market extensive, secondary research is done. The collected data were then verified through primary interviews. Distribution of primary interviews is as follows:- By Designation: - C-level -40%, Director level-30%, and other -30% By Company Type: - Tier 1-35%, Tier 2-40% and Tier 3-25% By Region: - North America- 40%), Europe -25%, Asia-Pacific-20%, and Rest of World - 15% Note: *Others include MOOC managers, marketing managers, and product managers. Note: Tier 1 companies have revenues more than USD 10 billion, Tier 2 companies range in between USD 1 and 10 billion or overall revenues, and Tier 3 companies range between USD 500 million and USD 1 billion of overall revenues. Big data tools and analytics are increasingly contributing to the increasing popularity of MOOC. Examination outcomes and assignment grading are made easy with MOOCs because of its online nature, which is otherwise a slow and tedious procedure with traditional data gathering techniques. The records are easily managed with big data tools, giving educators the advantage of real-time data management Various key players in the MOOC market profiled in the report are Coursera, edx, Instructure, Miriadax, FutureLearn, Udacity, Coursesites, Iversity, Open2Study, and NovoEd. 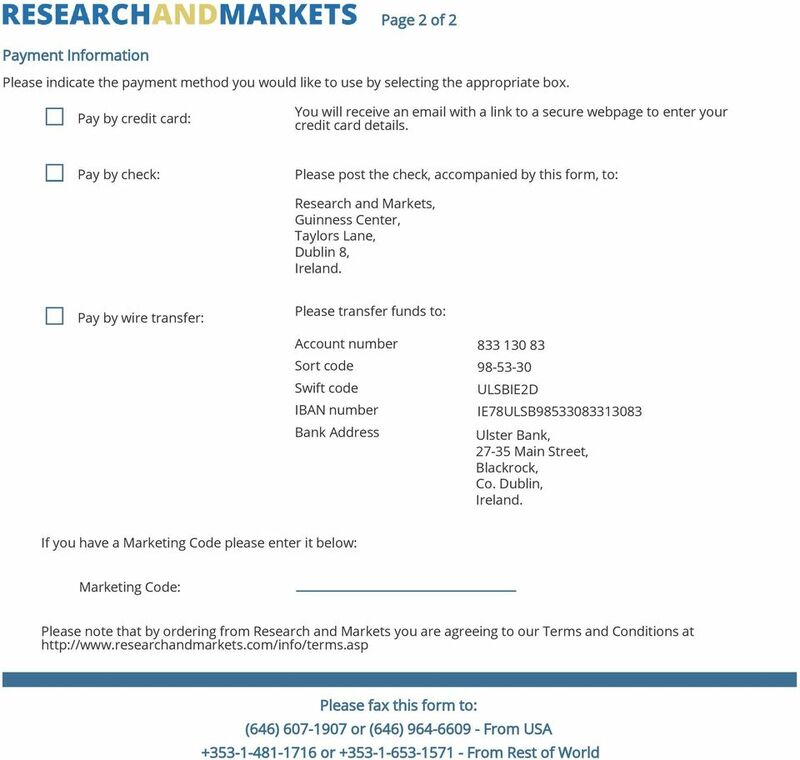 The report will help the market leaders/new entrants in this market in the following ways: 1. 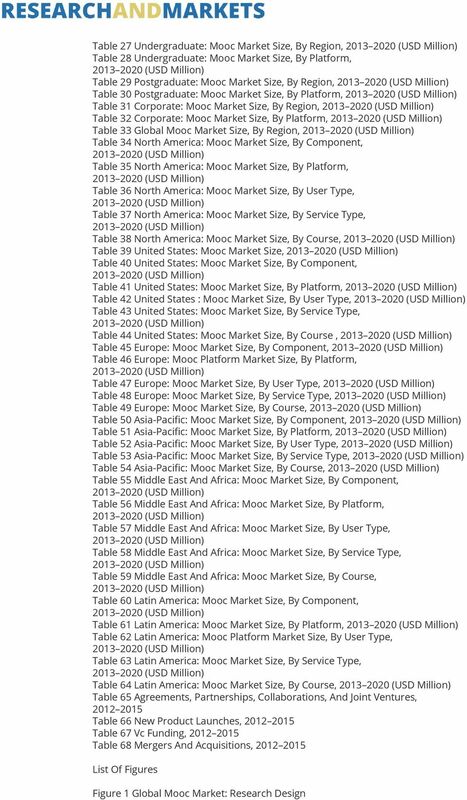 This report segments the MOOC market comprehensively and provides the closest approximations of the revenue numbers for the overall market and the subsegments across end-users and regions. 2. The report will help stakeholders to understand the pulse of the market and provide them information on key market drivers, restraints, challenges, and opportunities. 3. This report will help in understanding the competitors better and gain more insights to strengthen their position in the business. The competitive landscape section includes competitor ecosystem, new product develpoments, partnerships, mergers and acquisitions. 7 Figure 49 Instructure, Inc.: Swot Analysis Figure 50 Blackboard, Inc.: Swot Analysis Figure 51 Novoed, Inc.: Swot Analysis Ordering: Order Online - Order by Fax - using the form below Order by Post - print the order form below and send to Research and Markets, Guinness Centre, Taylors Lane, Dublin 8, Ireland. "Increasing demand for intelligent cities and IoT devices is expected to drive the Internet of Things (IoT) in smart cities market"
- BFSI: NCCM helps in detecting security breaches, failed transactions, and assists in auditing and policies compliance. 1. Economic factors: Positive global market for IDS/IPS security solutions and services.